AllureMD always appreciates feedback from our valued patients. To date, we’re thrilled to have collected 6 reviews with an average rating of 5 out of 5 stars. Please read what others are saying about AllureMD below, and as always, we would love to collect your feedback. Dr. Patel was very professional and extremely knowledgeable. I appreciate her thoughtfulness and expertise. Highly recommend! Dr. Sheila is the best!!! She answered all my questions and I left feeling amazing and so satisfied with her care. I will go back again and recommend her to everyone! Not all aesthetic places are the same; AllureMD is the place to go for real service! Dr. Patel was great! She made me feel really comfortable as a man getting treatment for the first time. We went through all the issues that I wanted to improve, and she talked about treatment options. In the end, I decided to get botox and a couple fillers to make my lines and wrinkles less noticeable. I was surprised because she recommended cheek filler, and it looks great, definitely makes me look much younger. After a couple of days I really noticed the difference on my forehead, eyes and cheeks. Everything looks great! Dr. Patel was extremely thorough, and made me feel comfortable the whole time. 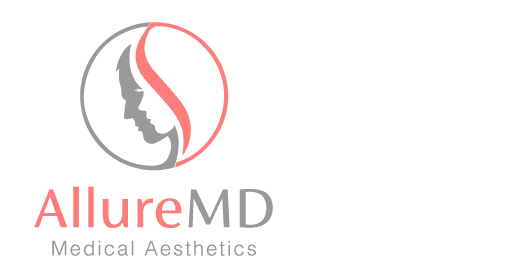 I was absolutely thrilled with my experience with Dr. Patel and Allure M.D. She showed up promptly to my both my consultation and concierge appointment. She took the time to ask me about my concerns and educate me about my options. I ultimately opted to proceed with Botox on my forehead and crow's feet. She was incredibly gentle and took the time to ensure I was comfortable as she was injecting the Botox. I had no bruising and am thrilled with the results! I was very impressed with Dr. Patel's technique. I'm in my mid 50's and recently had Dr.Patel do botox and tear trough filler. The results are amazing and I had absolutely no bruising. I was weary of the filler close to the eye but Dr.Patel, who is also an ophthalmologist, put me at ease and explained everything. Dr. Sheila is amazing! For such a knowledgeable doctor, she is so nice and really cares about her patients. She took her time in explaining all about the procedure and made recommendations based on what I needed. When she was treating me, I felt confident and comfortable. Dr Sheila has those gentle surgical hands and you can feel her precision. Overall a great doctor, and I've recommended her to my friends already!